The Static V is the smartest sleeping pad I have ever experienced. I bring this with me on every tour and travel. It gives me the ultimate pleasure of sleeping on any ground. You will be obsessed with the comfort and coziness of the pad. Klymit enriched with all the necessary features you need in a smart sleeping pad. 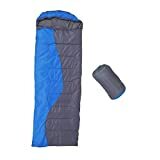 The sleeping pad is a lightweight camping air pad with the latest body mapping technology but within a reasonable price. The piece is featured with Chamber design to reduce the movement and heat loss. Plus, the pad has dynamic side rails that keep you at the center of the pad all the night. You can pack this down to the size of a water bottle and can inflate this within only 10-15 breaths. It has a smart easy to use push valve for quick inflation and deflation. This process saves your time and energy on bone breaking trip. His will provide you with all the common features will all other advanced feature you expect from a smarty air bed. This product complements all the tours and travels you made with your friends and family through the year round. 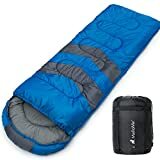 If you are a solo traveler and going on a long trip to Europe or America, this sleeping bag will provide you the feel of your bedroom. You can have many of it; if you travel in groups or with family for months. This is suitable for the kids also and don’t worry!!! Its waterproof; if you have a kid. It’s affordable enough to buy many pieces at a time for group travels for a long time. The static v lightweight camping pad is manufactured with body mapping technology at an entry-level price. It is featured with v chamber design for less air movement and heat loss, while the uniquely ergonomic body map helps optimize performance and comfort. On the other hand, the dynamic side rails keep at the center of the pad night long. 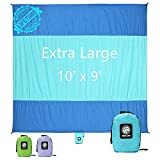 This can be packed down to the size of a water bottle and inflatable within 10-15 breaths. It has easy to use push valve for quick inflation and deflation. The klymit will save your time and energy. 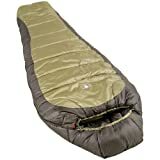 The klymit sleeping bag sleeping bed will provide you with all the comfort you expect from an air bed. This is a product with the motto of ‘camping and comfort do co-exist.’ The Kings Camo version and the Recon version are built by 75 D fabric in both sides that makes a versatile sleeping pad. There is no weight limit because the popping out of the pads goes around 300 pounds and it has weight distribution over a large area to prevent popping. Its inflation is very easy, and the deflation is even easier; just open the valve and roll it up and then fold it sideways twice to have it the same width as the bag is long and roll. By the way, this will squeeze the last bit of air out. It is as simple as I have done on many of my night trips. Question : Is there any weight limit? There is no weight limit. The popping up of the pad goes around 300 lbs. it distributes the weight over a large area to prevent any harm. Question : Does it have a pump? It has no pump added, and you have no need of it at all. 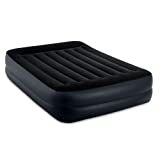 The air bed takes a little breath to inflate the bed and least effort to deflate. The lightest sleeping bed can be packing down to the size of a water bottle and inflatable in 10-15 breaths. It has everything you expect in a perfect air bed with shortest deflation time. Its 75 D fabric made and has V chamber design to resist air movement and heat loss. To make a decision, you can compare this to B0774JLLLP on the internet. The Static V has an ergonomic design, and the dynamic side rolls help you to adopt the center position while sleeping. You can check out the model B01MXVY7XI on the internet; you will find the item like general bedding, unlike an air bed. 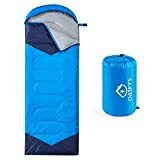 This may not be deflectable like the Static V. For more versions and curies; please search by these keywords; klymit static v2, klymit ksb 20, klymit static v2 sleeping pad, klymit static v luxe, klymit pillow x, klymit double v and more.